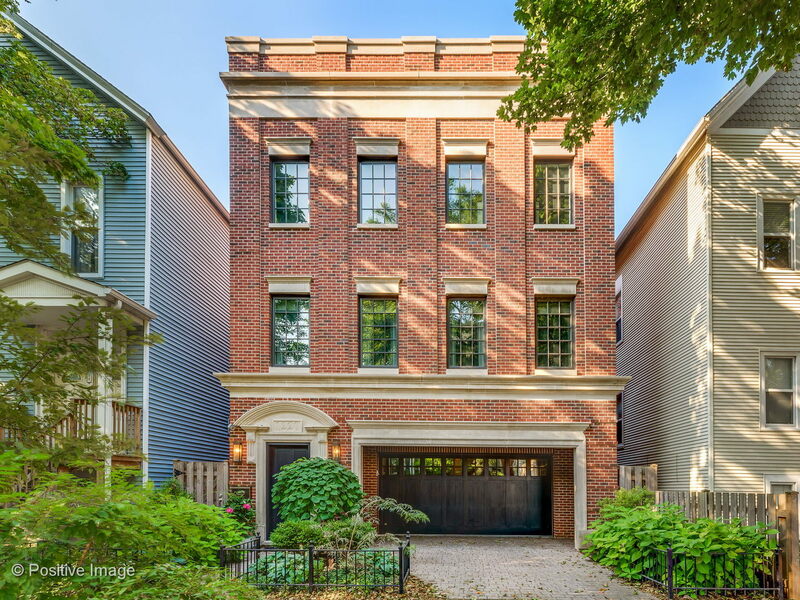 Luxury abounds this extra wide brick & limestone single family home in a fabulous Lincoln Park locale. Ultra wide foyer & gracious staircase lead to a fabulously &apos;James Thomas&apos; designed home, perfect for entertaining. The front of the home features an expansive living room set up like 2 rms w/a wbfp & south-facing wndws for great light. There is a sep dining space w/custom dry bar w/two wine/beverage fridges. The spacious kitchen has beautiful white Brookhaven cabinetry, intricate backsplash, honed granite counter tops, & all top end appls. An adjacent great rm currently used as dining, has a well designed frplc & built-in banquette seating. Access the terrace & a true backyard directly from the kitch. This home features a wide interior that allows for a rare 4 bdrms on one level w/3 custom baths including the luxurious white marble master & fab closet. The LL rec rm can double as bedroom space w/full bath. Gorgeous hdwd floors & great ceiling height throughout. Att 2 car gar+pkg pad.